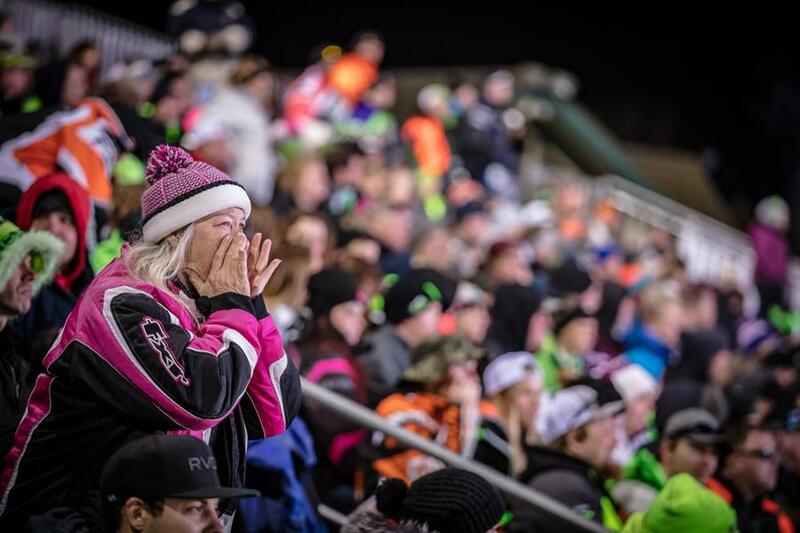 ALBERTVILLE, MINN.~ Coming off the heels of the most successful year of snocross racing in the sport’s storied history, AMSOIL Championship Snocross, Powered by RAM, is set for a memorable, history-changing 2018-2019 season. Snocross fans from Wyoming to up-state New York will once again benefit from a schedule that places the extreme sport in the core markets of snowmobile enthusiasts. Traditional stops in Duluth, Shakopee, Deadwood and Lake Geneva will be complimented with recently added events in New York, Michigan, Iowa and Jackson Hole, Wyo. The tour will not add any new market this season and will continue to build on last years eight events, which saw nearly 100,000 fans soak in the heart-pumping experience. With a strong schedule in place, the series continues its commitment to remarkable racing, including an exceptionally talented group of pro riders returning to the series in 2018-2019. Past pro champions Kody Kamm and Tim Tremblay look to carry the torch after 11-time champion Tucker Hibbert retired from racing this past summer. Despite Hibbert’s absence, the pro class is chock-full of racers capable of winning the title this year. 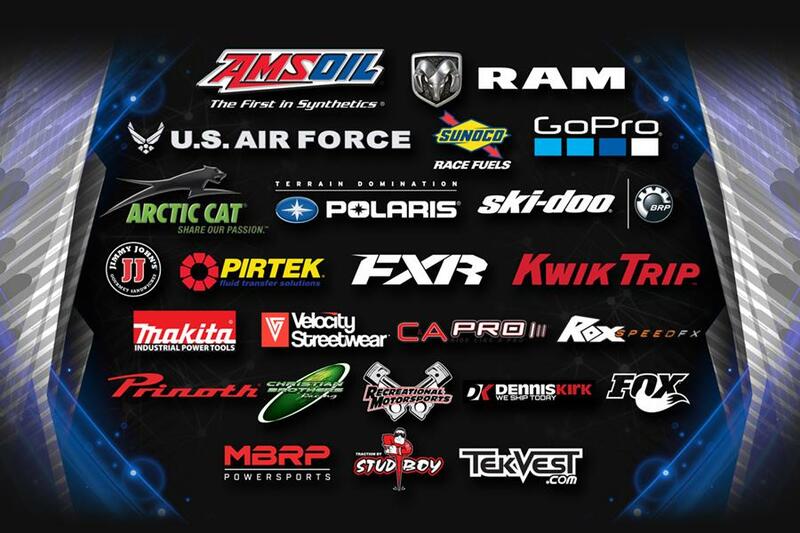 Race fans form around the globe will continue to tune into AMSOIL Championship Snocross, Powered by Ram via the series partnership with CBS Sports Network and the world-class livestream production available at snocross.com. CBS Sports Network will air seventeen hours of original programming this season to more than 4-million viewers. 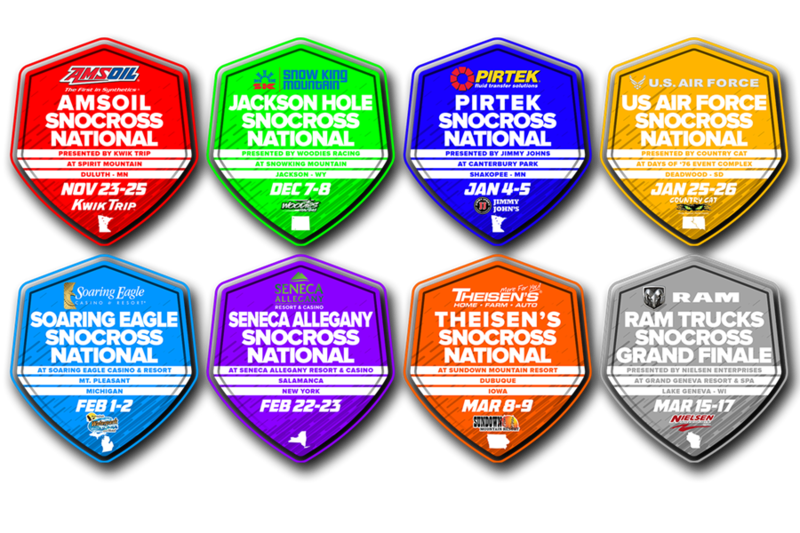 Snocross will continue to feature all classes on its renowned livestream programming where more than 4.3 million viewers tuned into its livestream broadcasts last season, a number that has grown since ISOC implemented the medium nearly a decade ago. Snow King Mountain, Jackson Hole, Wyo. Days of ’76 Event Center, Deadwood, S.D. Soaring Eagle Casino & Resort, Mt. Pleasant, Mich.
Seneca Allegany Resort & Casino, Salamanca, N.Y.
Grand Geneva Resort and Spa, Lake Geneva, Wis. This entry was posted in Events, Motorsports, National News, SnoCross by admin. Bookmark the permalink.